ListerPro enables you to find, filter, list and manipulate pages based on any of their properties. It presents an AJAX-driven table of matching pages and you have full, dynamic control over what columns are displayed in the table, and their order. Unlike the regular Lister, ListerPro enables you to create your own custom Listers, perform manipulations on pages, customize to your heart's desire, and much more. ListerPro is a truly unique, powerful and easy-to-use tool that will significantly enhance the way you work with ProcessWire. Edit pages inline, directly in the page list! 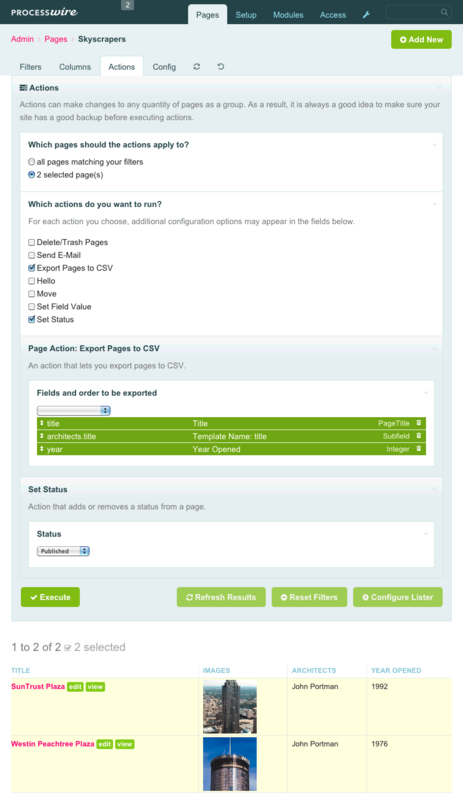 Run page actions – find pages and manipulate them! What is required to run ListerPro? How many pages can Lister/ListerPro show and how many can it manipulate? What page manipulation actions come with ListerPro? Is ListerPro access controlled? Are ListerPro actions access controlled? Can ListerPro actions run in the background? What settings can I configure in ListerPro? If you like what Lister can do for your site administration, then you'll love what ListerPro can do. Here's just a taste of what ListerPro brings that the regular Lister does not. 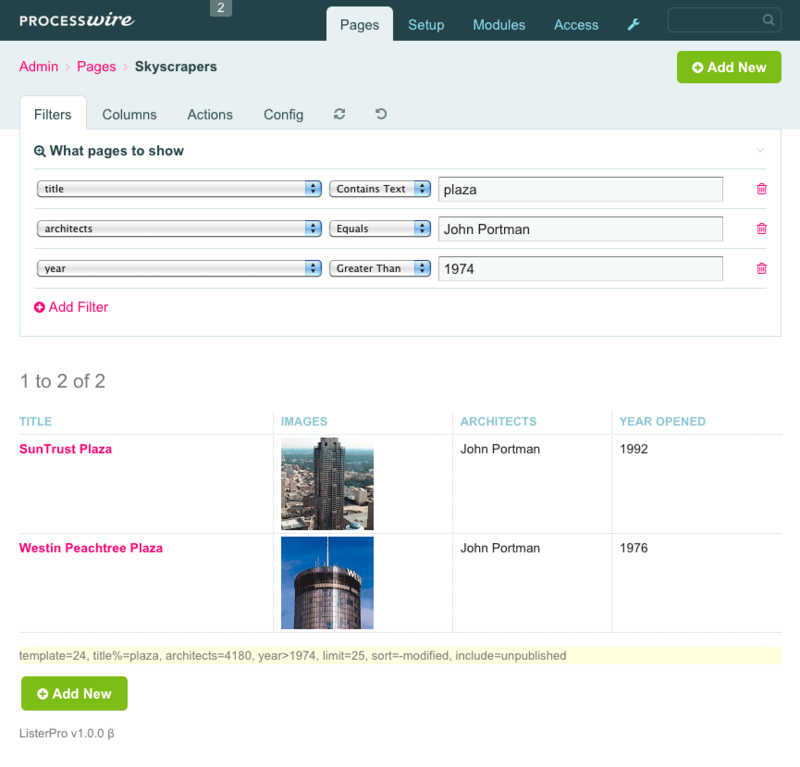 Lister as you know it in ProcessWire 2.5+ is like a really powerful, site-wide search engine. But things really start to shine when you can create your own custom Listers. ListerPro lets you do this with ease, by letting you create as many custom-configured Listers as you want. Need a Lister dedicated just to managing products, blog posts, or vacation cottages? Just click "Add new Lister" on the ListerPro config screen and it will create a brand-new Lister in your menu configured exactly how you want it. Every ListerPro instance comes with a wealth of configuration options. 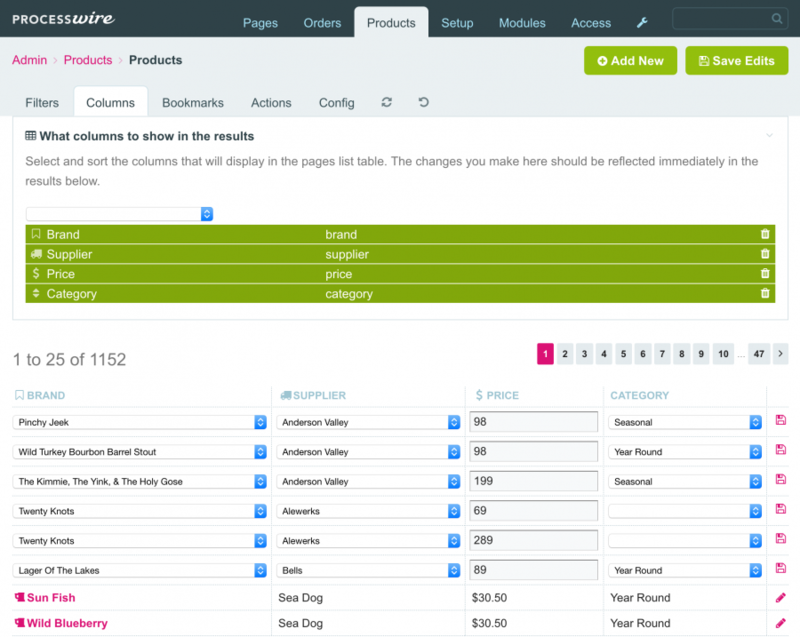 You can configure exactly what pages it should show, what default filters and columns should appear, and much more. Here's a screenshot showing the ListerPro configuration screen. ListerPro puts you in full control, and you can configure as much or as little as you want. Imagine being able to edit the contents of almost any page field, directly from within the ListerPro output. Imagine being able to edit any number of pages at the same time, on the same screen. ListerPro makes this possible! For many types of edits, this is a huge time saver relative to using ProcessWire's regular page editor, and for many users this is ListerPro's killer feature! Need to publish/un-publish, move, trash or modify a whole bunch of pages at once? ListerPro's page actions make it easy. It can operate on any quantity of pages and make an easy job of what would have previously taken custom programming, expertise and time. Page actions are themselves modules, and ListerPro comes with a whole bunch of them. Plus, we're always adding more and appreciate your suggestions. You can choose to manipulate all of your matched pages, or just those that you select. Actions are by far the most powerful feature that ListerPro brings and it's unlike anything you've seen before in ProcessWire, or anywhere else! In the list of found pages, you can dynamically select what columns are shown in both Lister and ListerPro. These columns can be any field on your pages. But ListerPro goes much further and lets you also show subfields for much more granular output. Meaning, ListerPro has the ability to show the individual properties from any field. This is especially useful when it comes to fields like page references, images, files and more. When you click to "edit" or "view" a page in ListerPro, it has the ability to open the page in a modal window while you remain in ListerPro. This is incredibly convenient when you need to make edits to a lot of pages–you never have to leave ListerPro! Close your edit screen and your changes are immediately reflected in the ListerPro results. 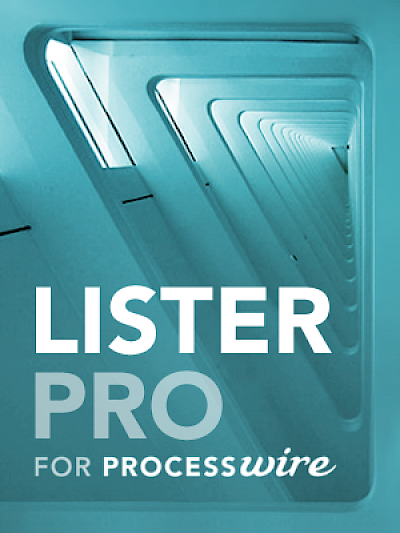 Once installed, ListerPro replaces the regular Lister used by your admin search engine and users list. Meaning, ListerPro enhances your existing site tools. For example, lets say you wanted to send an email to all users (or just a subset of them). Easy! As another example, lets say you wanted to add a new role to all users that had "yourcompany.com" in their email address–ListerPro actions make this easy. ListerPro requires ProcessWire 2.5.0 or newer. There is no limit that we are aware of. ListerPro has been designed to handle massive sites. We have successfully used ListerPro on page quantities well over 100k. When it comes to manipulating pages, ListerPro splits the pages into chunks of 250 pages each and operates on one chunk at a time. After each chunk, it clears memory and starts the next one. This enables it to keep chugging along with page manipulations regardless of quantity. Note that performing manipulation actions on tens of thousands of pages or more can take time (several minutes, or longer). Need something else? Please tell us what would be helpful to you in the ListerPro support board and we may be able to make it happen. We are also available to custom develop actions for you, or support you in developing your own. Actions are surprisingly easy to develop! Yes and Yes. As with Lister, only users with page-lister permission will be able to see instances of ListerPro. But ListerPro goes further. Because it lets you create your own Listers, it also lets you create custom permissions for each Lister. Meaning, if you have multiple Listers setup, you can isolate access to each Lister by user roles. ListerPro actions are also fully access controlled. In any Lister config screen, you can define which actions should be available to that Lister. Following that, a user must also have action-specific permission. The ListerPro config screen outlines exactly what is necessary. This level of access control is important because with all the power that ListerPro brings, it also brings responsibility. In order to benefit from running actions in the background, you would need to have a LOT of pages to manipulate (and thus actions that would take a lot of time). But we've got you covered! When combined with the upcoming IftRunner module (If-Then Runner) ListerPro actions can be scheduled to run in the background. Support is already built-in to ListerPro for this and we are using it successfully with our beta development copy of IftRunner. When IftRunner is released, you will be able to use this feature too. Note that IftRunner is a free/non-commercial module envisioned and sponsored by Avoine, and developed by Ryan Cramer and Antti Peisa. Your will be able to use IftRunner for other background or automated tasks as well. Whether "view" links open in modal window, new window, same window or not at all. Whether "edit" links open in modal window, new window, same window or not at all. As you can see below, there is a lot available to configure in ListerPro. However, everything is optional. When creating a new Lister, focus just on the first 4 fields (pages, order, filters, columns) then come back to the other configuration options as needed.